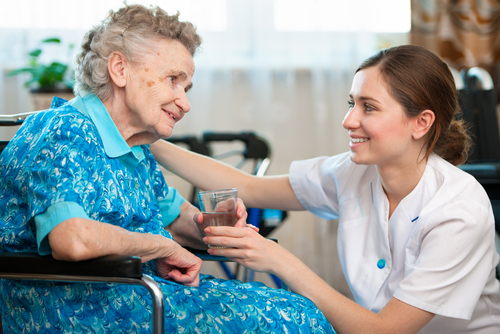 The Centers for Medicare and Medicaid Services (CMS) has updated information on reducing antipsychotic use in nursing homes. In March 2012, CMS launched the National Partnership to Improve Dementia Care and Reduce Unnecessary Antipsychotic Drug Use in Nursing Homes, now called the Partnership to Improve Dementia Care in Nursing Homes. The partnership's goal is to optimize the quality of life and function of nursing home residents by improving the way in which their general health, psychosocial, and mental health needs, and especially those of residents with dementia, are addressed. CMS said this week that part of its efforts include producing three surveyor training videos, which can be found here, as well as updating two of the appendices in its State Operations Manual. The appendix changes are intended to ensure that survey samples include an adequate number of residents with dementia who are receiving an antipsychotic medication, and a new section of guidance on reviewing care and services for a resident with dementia. "Individualized, person-centered approaches may help reduce potentially distressing or harmful behaviors and promote improved functional abilities and quality of life for residents," said CMS. Read the CMS memo detailing the changes here. The mortality risk associated with using antipsychotics in the elderly can vary greatly, said a team of researchers at Brigham and Women's Hospital and Harvard Medical School. Read more about their findings in Psychiatric News here. The much-maligned formula by which the government determines what physicians will be paid for treating Medicare beneficiaries inched closer to being replaced Tuesday when Republicans on two House committees released more details of a framework that could replace the sustainable growth rate (SGR) formula over the next few years. Almost every year, the formula calls for substantial cuts in physicians' Medicare reimbursement, and just as often, Congress votes to postpone the reductions, compounding the size of future cuts. The latest estimate is $140 billion. GOP members of the Energy and Commerce Committee and Ways and Means Committee, both of which have jurisdiction over key health care issues, are seeking additional feedback from medical organizations, including APA, and other stakeholders on a proposal that would replace the current system in which doctors are paid per procedure with one based largely on incentives that would determine fees on how well they perform vis-à-vis certain criteria. Until such a system is in place, however, the proposal calls for a transitional period in which rates per procedure are specified and stable for a period of time while the government develops a new system based on quality of care provided. Momentum seems to be building for taking some action on the SGR formula this year. APA will respond to the committees' request for feedback before a hearing is held on June 5 and has already provided feedback on an earlier draft of the proposal. Commenting on the latest iteration of the Medicare reform framework, Matt Sturm, an assistant director in APA's Department of Government Relations, told Psychiatric News, that, "While many key details of the SGR repeal and replacement have yet to be fleshed out and disseminated by the committees, APA is encourage by the priority they have given to this important issue and the substantive work they've undertaken so far." Read more about the SGR proposal and an April letter from APA Medical Director James H. Scully Jr., M.D., responding to it, in Psychiatric News. The federal Centers for Medicare and Medicaid Services (CMS) has rejected a request from the manufacturer of a vagus nerve stimulation (VNS) device to approve it for treatment of severe depression in Medicare beneficiaries. Cyberonics announced on Tuesday that its request that CMS approve the company's VNS Therapy for treatment-resistant depression was not successful. The company had originally applied for CMS approval in 2007, but the agency rejected the application at that time. Cyberonics had hoped that additional evidence over the last five years supporting VNS's efficacy in depression treatment would lead CMS administrators to reverse their earlier decision, but that did not happen. Cyberonics is hopeful that VNS Therapy will eventually gain that approval, with CEO Dan Moore saying that "The company plans to work with other interested parties to continue to pursue access to this important therapeutic option...." The VNS system has already been approved by the Food and Drug Administration for use in patients with treatment-resistant depression and with epilepsy patients. 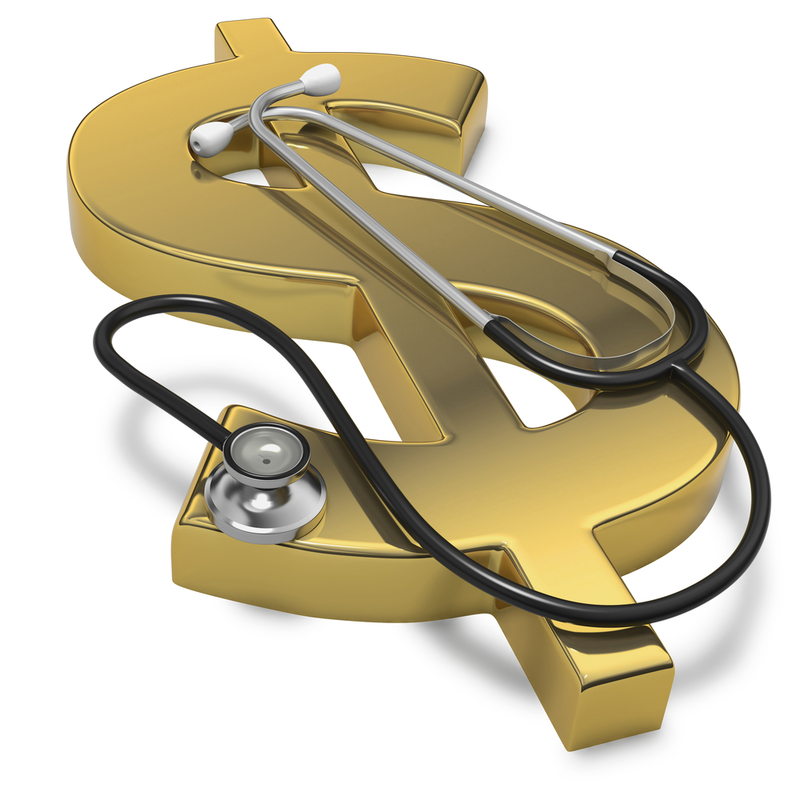 CMS has approved reimbursement for its use in Medicare beneficiaries with refractory epilepsy. To read about the earlier regulatory decisions regarding VNS, see Psychiatric News. Ketamine, which was originally approved as an anesthetic and later often used as a street drug, ultimately was found to have significant antidepressant properties. Those effects took hold within hours and lasted for days, compared with the several weeks that standard antidepressant drugs like SSRIs can take to start working. Despite potential benefits, however, ketamine also produced serious side effects such as sedation or hallucinations and was open to abuse. Now researchers have found that a compound related to ketamine called GLYX-13 produces similar antidepressant effects but without the undesirable side effects. 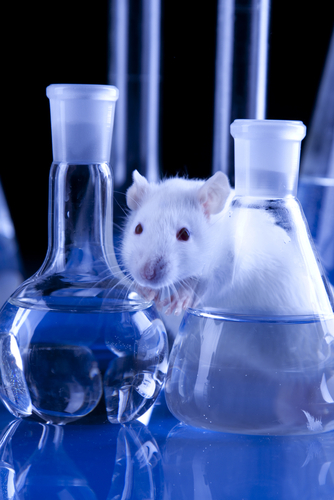 In studies using rats, GLYX-13 enhanced memory and learning and had antidepressant-like effects without the side effects, said Northwestern University molecular neurobiologist Joseph Moskal, Ph.D., and colleagues in last month’s Neuropsychopharmacology. The work was funded by the National Institute of Mental Health. The compound may work by triggering a sequence that leads to increased communication between neurons, they suggested. Phase 2 clinical trials are now exploring dosing levels in patients who have failed other antidepressant treatments, said Moskal. 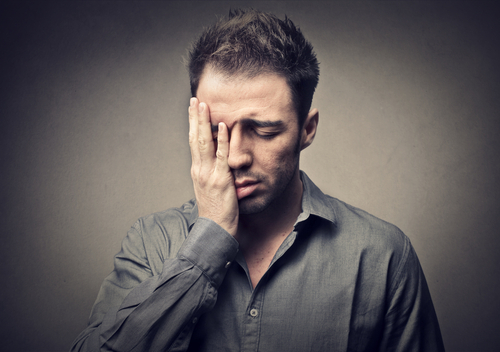 To learn more about ketamine's antidepressant effects, see Psychiatric News here. 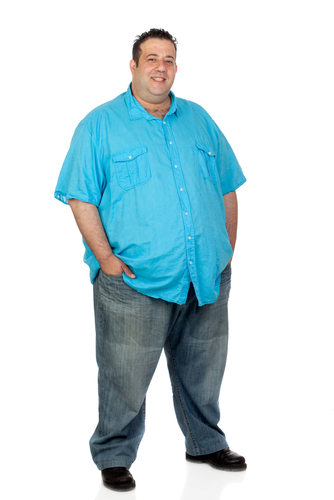 Men who were diagnosed as children with attention-deficit/hyperactivity disorder (ADHD) were more likely to have a higher body mass index (BMI) and higher rates of obesity than men without childhood ADHD, according to a study published in the June issue of Pediatrics. Childhood ADHD in a group of 111 boys, compared with 111 controls without ADHD, predicted higher BMI and obesity rates at age 41. The difference was especially clear among men with remitted—but not persistent—ADHD, said Samuele Cortese, M.D., Ph.D., of Italy’s Verona University, and colleagues. The study requires additional replication on larger populations before policy changes can be suggested, they said. Poor control of inhibition and aversion to delay in the children diagnosed with ADHD “may foster poor planning and difficulty in monitoring eating behaviors,” hypothesized the authors. Other possible explanations may involve dysfunctional fronto-striatal dopaminergic pathways common to both obesity and ADHD, they said. “The long-term risk for obesity should be considered when managing children for ADHD,” they concluded. To read more about ADHD in adults, see Psychiatric News here. Also see Understanding and Treating Adults With Attention Deficit Hyperactivity Disorder from American Psychiatric Publishing. 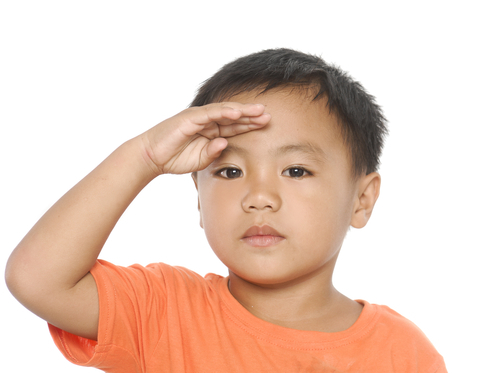 Pediatricians, both military and civilian, need to be aware of the potential mental health needs of children who have a parent deployed for military service. A clinical report on mental health needs of children in U.S. military families published online yesterday in the Journal of the American Academy of Pediatrics states that the mental health and well-being of spouses, significant others, children (and their friends), and extended family members of deployed service members continues to be significantly challenged by the experiences of wartime deployment as well as by combat mortality and morbidity. The report, by Benjamin Siegel, M.D., Beth Ellen Davis, M.D., and the American Academy of Child and Adolescent Psychiatry's Committee on Psychosocial Aspects of Child and Family Health and Section on Uniformed Services, outlines common issues during wartime deployments and discusses how pediatricians can assess family coping skills and provide anticipatory guidance for the typical cycle of deployment. And it addresses how pediatricians can find appropriate resources and know when to refer for specialized services or care. “Some military families may be at higher risk of distress, especially if they are young, experiencing a first separation, have recently relocated, include a foreign-born spouse, have young children, are junior enlisted (entry pay level), are single parents, or have children with special needs,” the report points out. The report is online here. For more on this subject see Psychiatric News here. A Food and Drug Administration (FDA) advisory committee has decided that Merck's experimental drug suvorexant is effective against insomnia, but that starting doses should be low—15 mg. for the elderly and 20 mg. for the nonelderly. The FDA will consider the advisory committee's recommendations as it completes its review of Merck's New Drug Application for suvorexant. If approved, suvorexant would be the first in a new class of medicines called orexin receptor antagonists. Orexins are neurotransmitters in the brain that help keep a person awake. By temporarily blocking the actions of orexins, suvorexant helps facilitate sleep. "We are excited about the potential of suvorexant as a new and different approach to treating insomnia, a serious condition that affects up to one-third of the adult population," Darryle Schoepp, Ph.D., said in a press statement. He is senior vice-president and head of the Neuroscience and Ophthalmology Division of Merck Research Laboratories. More information about suvorexant can be found in Psychiatric News here. More information about treating insomnia can be found in Psychiatric News here and also in American Psychiatric Publishing's Clinical Manual for Evaluation and Treatment of Sleep Disorders. Exposure to suicide can lead to suicidal ideation and suicide attempts in adolescents, researchers at the Harvard School of Public Health reported in the May 21 Canadian Medical Association Journal. Their finding was based on responses from 8,766 Canadian adolescents aged 12 to 17 who were part of the National Longitudinal Survey of Children and Youth, carried out from 1998 to 2007. Study participants were asked whether anyone in their school had died by suicide and whether they personally knew anyone who had died by suicide. Social support for the youths and stressful life events were also assessed in the study. The prevalence of exposure to a schoolmate's suicide and personally knowing someone who died by suicide increased with age, and such exposure was consistently associated with suicide attempts and, to a lesser degree, with suicidal ideation. "Our results support schoolwide interventions over current targeted interventions, particularly over strategies that target interventions toward children closest to the decedent," the researchers concluded. Experts say that patient involvement is key to any suicide-prevention strategy's success. Read more on that topic in Psychiatric News here. And find more information about such strategies in The American Psychiatric Publishing Textbook of Suicide Assessment and Management, Second Edition, available here. 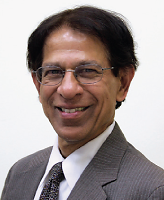 APA President Dilip Jeste, M.D., sent a message of support to the Oklahoma Psychiatric Physicians Association (OPPA) in the wake of the tornado that ripped through the Oklahoma City suburb of Moore on Monday. The tornado flattened much of the city of 55,000 and left at least 24 dead, according to local officials. In addition, APA’s Committee on Psychiatric Dimensions of Disasters sent the district branch information and links to resources about coping with the aftermath of disasters. The OPPA noted that recovery from a disaster as massive as this one will take a long time. “In the days and months ahead, we encourage everyone affected to consider their emotional wounds and well-being and to speak with a doctor, a counselor, a clergyman, or your family to help the emotional healing begin,” said OPPA President Chariny Herring, D.O., and Brent Bell, D.O, chair of the OPPA’s Disaster Committee. Two books from American Psychiatric Publishing provide extensive information on responding to the mental health sequelae of disasters—Disaster Psychiatry: Readiness, Evaluation, and Treatment, and Care of Children Exposed to the Traumatic Effects of Disaster. Three companies have agreed to recall all lots of the antipsychotic quetiapine in Canada due to potential contamination with the antibiotic clindamycin, according to an announcement from Health Canada, that country's federal health agency. The recall applies to 25 mg, 100 mg, 200 mg, and 300 mg doses manufactured by Cobalt Pharmaceuticals Company, Laboratories Riva Inc., and Sanis Health Inc. All three companies are advising physicians and other health care professionals to contact their patients who have been supplied with any quetiapine from these manufacturers "to help ensure a safe transition over to alternative authorized and not affected quetiapine products on the Canadian market," the agency said. The announcement also advises patients to immediately contact their health care provider with questions about their use of the medication, not to discontinue treatment without advice from their clinician, and to report any adverse reactions potentially related to quetiapine products to Health Canada. 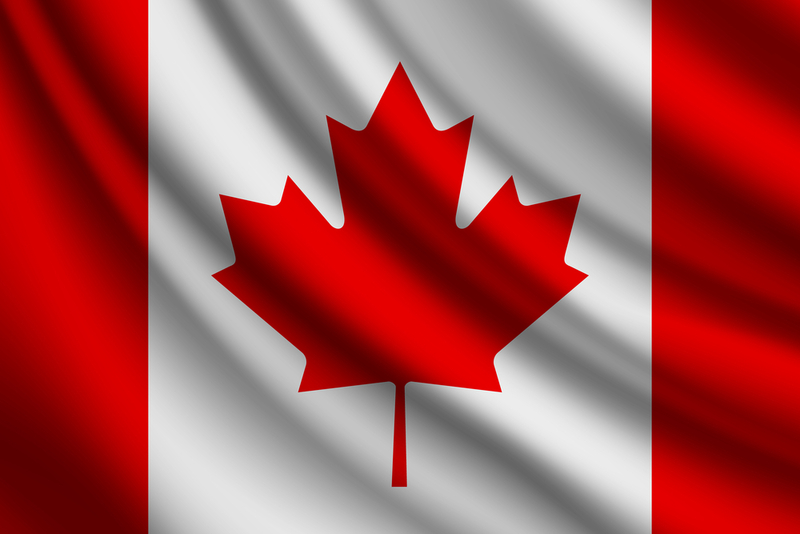 No adverse reports have been received by Health Canada to date. To read the complete announcement, click here. Clinton’s comments were part of a remarkable address in which he talked to a packed hall of meeting attendees by satellite about a range of public-policy issues—foreign and domestic—which, because of global interdependence, now require new ways of problem-solving that allow all parties win. He cited as an example the work of the William J. Clinton Foundation in negotiating with the soft-drink industry to revamp its business plans so that the companies could still profit while dramatically decreasing the amount of sugar in drinks consumed by schoolchildren. Similarly, though some people still need to be persuaded of the value and importance of mental health coverage, the issue is now one of getting all parties to work together to make it happen, he emphasized. To read more about sessions at this year's APA annual meeting, click here. Saks' remarks were part of a wide-ranging conversation with Jeste about living with a serious mental illness while also pursuing a successful career as a writer, ethicist, and lawyer. Saks is the Orrin B. Evans Professor of Law, Psychology, and Psychiatry and Behavioral Sciences at the University of Southern California and a MacArthur Foundation Fellowship winner. She is also the author of an award-winning best-seller, The Center Cannot Hold: My Journey Through Madness, an autobiographical account of her long struggle with schizophrenia. Jeste interviewed Saks about issues related to recovery, stigma, resilience, the relative value of psychosocial and pharmacological interventions, and bioethics relevant to people with serious mental illness. She recounted painful—as well as joyful and humorous—aspects of her journey and concluded with a note of gratitude to the field of psychiatry. “In many ways psychiatry has been the star of my show. I'm incredibly grateful for what you do. And on behalf of my fellow patients, thank you very much," she said. It was a little more than 10 years ago when James H. Scully Jr., M.D., became medical director of APA. Today, as he prepares to step down from that position in the fall, former APA President and Assembly Speaker Richard Harding, M.D., led a light-hearted but poignant tribute to Scully at the Assembly’s morning plenary. Former speaker of the Assembly and current Area 7 Trustee, Jeffrey Akaka, M.D., of Hawaii, draped a Kukuki nut lei around Scully’s neck and slipped him some of his signature chocolate-covered macadamia nuts, and another former speaker of the Assembly, Albert Gaw, M.D., presented him with an oversized, engraved gavel. Gaw was speaker when Scully became medical director. Because President Bill Clinton is not feeling well after considerable travel recently, his doctors advised him to avoid a long cross-country plane trip. As a result, he will address the APA annual meeting as originally scheduled Sunday at 5:30 p.m. in Hall D of the Moscone Convention Center, but will do so via satellite. He regrets the inconvenience but is glad that he will be a part of the annual meeting. 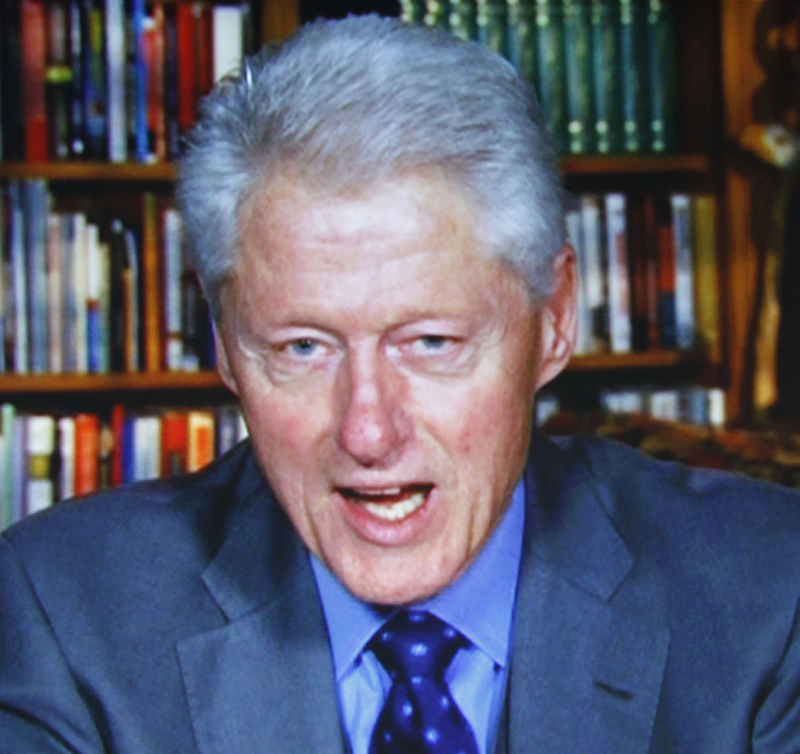 APA Medical Director James H. Scully Jr., M.D., will still engage in a question-and-answer period with President Clinton, asking questions submitted by APA members. Doors will open at 4:30 p.m. Annual meeting badges are required for entry. After 14 years of development, APA today released the fifth edition of its Diagnostic and Statistical Manual of Mental Disorders (DSM-5), incorporating nearly 20 years of scientific advances and clinical experiences since the manual's last revision in 1994. 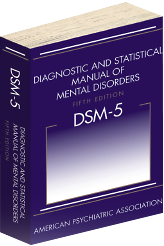 DSM-5 is available in a print edition first, and an electronic version will be available later this year. "The changes to the manual will help clinicians more precisely identify mental disorders and improve diagnosis while maintaining the continuity of care," commented DSM-5 Task Force Chair David Kupfer, M.D. "We expect these changes to help clinicians better serve patients and to deepen our understanding of these disorders based on new research." Among those changes are a new chapter organization that shows how mental disorders may relate to one another based on underlying vulnerabilities or symptom characteristics. In addition, in DSM-5 disorders are organized in the context of age—that is, along a developmental lifespan within each chapter—as well as gender and cultural expectations. While the number of disorders are about the same as in the last edition of DSM, several new disorders have been added, including binge eating disorder, disruptive mood dysregulation disorder, and hoarding disorder. A new section for the manual, Section III, describes several conditions that warrant more research before they can be considered as formal disorders in the main part of the manual. APA says that it will make the process of revising the manual in the future more responsive to research breakthroughs via incremental updates until a new edition is required. Thus, diagnosis guidelines won't be tied to a static publication but to scientific advances. DSM-5 and its supplementary publications can be ordered at www.psychiatry.org/dsm5. More information about the manual is also available on the site. The Drug Enforcement Administration (DEA) continued its battle against synthetic cannabinoid drugs, commonly known as "fake pot," by announcing yesterday that three more have been deemed Schedule I under the Controlled Substances Act for the next two years. Synthetic cannabinoids are a family of substances that act on the brain similar to delta-9 THC, the main psychoactive constituent of cannabis. Those forms affected by this action were UR-144, XLR11, and AKB48. The DEA published a notice of its intent to do this and issued a press release about it on April 12, giving makers, sellers, and other possessors of these drugs a month to rid themselves of their current stocks and to cease making or buying more. Over the past three years, smokable "herbal blends"—plant material laced with synthetic cannabinoids—have been marketed under the guise of being legal and have become increasingly popular, particularly among teens and young adults. These substances have not been approved by the FDA. The long-term physical and psychological effects of these substances and their associated products are unknown but are potentially severe, and psychotic and violent behavior has been observed in short-term users of these products. During the next two years, the DEA will work with the Department of Health and Human Services to determine if these chemicals should be made permanently illegal. Read the DEA's final order regarding the action here. Synthetic drugs are growing rapidly in popularity, and psychiatrists and law-enforcement personnel are struggling to keep up with the epidemic. Read more in Psychiatric News here. The Centers for Disease Control and Prevention (CDC), in a comprehensive report on the mental health of children over a seven-year period beginning in 2005, reports that 1 in 5 youngsters has a mental illness. The most prevalent mental illnesses among youth aged 3 to 17 were ADHD (6.8%), conduct disorders (3.5%), anxiety (3.0%), depression (2.1%), and autism spectrum disorder (ASD) (1.1%). The CDC also assessed substance use and found that 4.7% of these youth had an illicit drug use disorder in the prior year, 4.2% had an alcohol abuse disorder in the prior year, and 2.8% were dependent on cigarettes in the prior month. Among the more startling findings was that suicide was the second leading cause of death among youth aged 12 to 17. The CDC also found the prevalences of the disorders varied by race and ethnicity. The lowest prevalence of ADHD, for example, was found in Hispanic children, while behavioral or conduct disorders were highest among black non-Hispanic children, and ASD prevalence was higher among white non-Hispanic children. These findings, which were derived from multiple federal health surveillance systems, show that mental and behavioral disorders "are an important public-health issue in the United States," the CDC said, "because of their prevalence, early onset, and impact on the child, family, and community, with an estimated total cost of $247 billion." The CDC emphasizes that "more comprehensive surveillance is needed to develop a public-health approach that will both help prevent mental disorders and promote mental health among children." Commenting on the new report, which was released yesterday, child and adolescent psychiatrist David Fassler, M.D., told Psychiatric News that the report's findings "will be very useful to parents, advocates, legislators, and regulators. The findings underscore the growing need for enhanced access to comprehensive mental health and substance abuse treatment services for children, adolescents, and families." To read more about recent data on drug use and health, see Psychiatric News. Finding vaccines to combat drugs of abuse is an ongoing and challenging quest. The goal is to find compounds that produce antibodies that bind to drugs in the bloodstream, stopping them from entering the brain, and thus eliminating their effects. A heroin vaccine is even more difficult to develop because the drug quickly metabolizes into other active compounds. However, researchers from the Scripps Research Institute in La Jolla, Calif., have tested a new approach that that takes heroin metabolism into account. “The result is efficient blockade of heroin activity in treated rats, preventing various features of drugs of abuse: heroin reward, drug-induced reinstatement of drug seeking, and reescalation of compulsive heroin self-administration following abstinence in dependent rats,” said Joel Schlosburg, Ph.D., and colleagues in the Proceedings of National Academies of Science, online May 6. The vaccine has a low risk for long-term side effects because it does not affect opioid receptors or neurotransmitter function. It would also require “minimal medical monitoring and compliance." 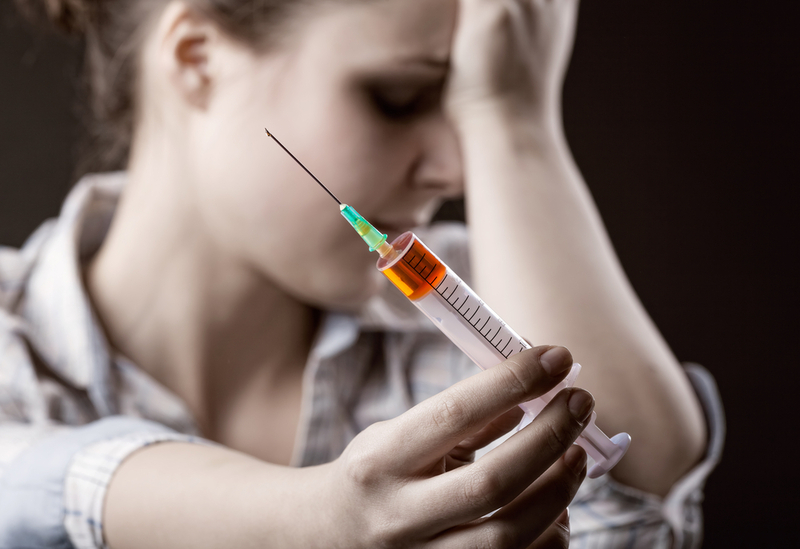 The vaccine may not be a “magic bullet,” said the authors, but it may someday prove to be useful adjunct therapy in treating heroin addiction in people. 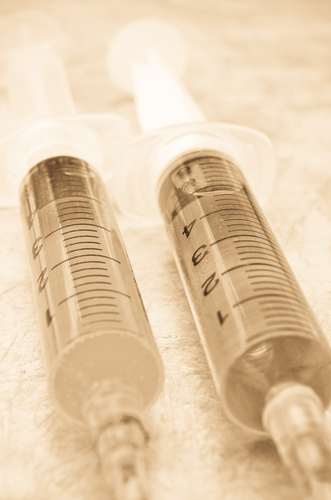 For more in Psychiatric News about vaccines for drug addiction, click here. 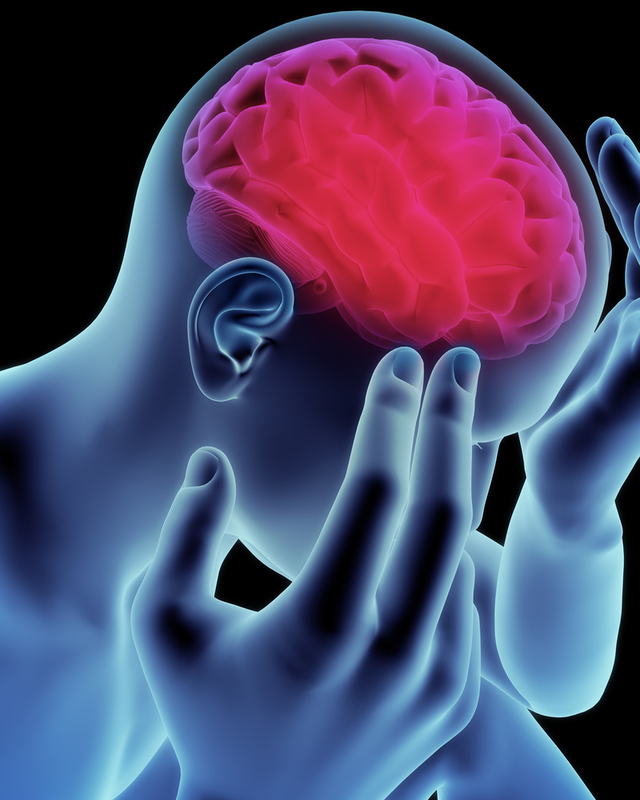 Up to 20 percent of U.S. troops deployed to Iraq or Afghanistan have experienced traumatic brain injuries (TBIs), whether from explosions, motor vehicle crashes, or falls. Now a survey of 161 personnel referred to a military hospital in Iraq finds that the number of TBIs incurred is significantly associated with depression, posttraumatic stress disorder, and TBI symptom severity, said Craig Bryan, Psy.D., of the National Center for Veterans Studies in Salt Lake City, and Tracy Clemans, Psy.D., of the VA VISN 19 Mental Illness Research Education Clinical Center in Denver, online May 15 in JAMA Psychiatry. To read more about TBIs in military populations, see Psychiatric News here. 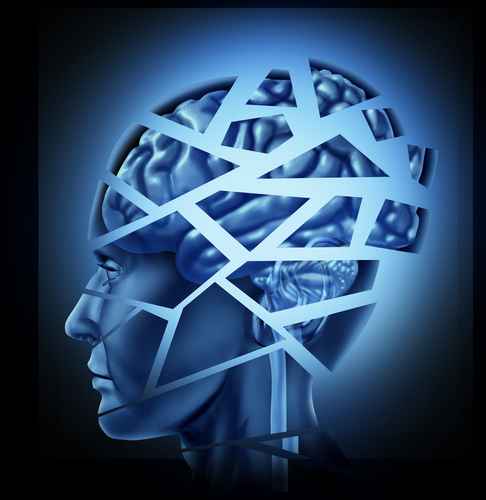 To read about a group treatment for veterans with TBI, see Psychiatric Services in Advance here. The APA Board of Trustees announced today that it has chosen Saul Levin, M.D., M.P.A., to be the Association's next medical director/CEO. Levin will replace James H. Scully Jr., M.D., who will step down when his contract is up later this year. Scully has served in that post for the last 12 years. Levin has served on several APA components including the Board of APA's political action committee (APAPAC), the Scientific Program Committee, and as a consultant to the Finance and Budget Committee. He has also been a member of the APA delegation to the AMA. Levin currently is the interim director of the District of Columbia Department of Health and chair of the D.C. Essential Health Benefits Package Subcommitee of the Health Benefit Exchange Authority. He has also served as senior deputy director of the District of Columbia Addiction and Recovery Administration. Before taking on his positions in Washington, D.C., Levin was vice president for science, medicine, and public health at the AMA. Commenting on Levin's selection as medical director, APA President-elect Jeffrey Lieberman, M.D., said, "Saul’s expertise in electronic health information exchanges and implementation of the Affordable Care Act and meaningful-use requirements, as well as his commitment to mental health parity and proven leadership of large organizations, will be extremely important to APA and its members as we adapt to and continue our leadership role in health care reform.” Scully commented that Levin "brings extraordinary intelligence, vision, and great energy to the challenges ahead for our profession. I look forward to working together with him as we transition to the news leadership." 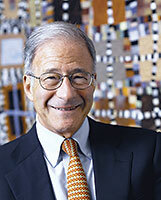 Levin will become CEO-designate in mid-July and will become medical director and CEO when Scully retires in the fall. A longitudinal study of youth with and without conduct disorder (CD) finds that the former are significantly more likely to abuse substances. The findings are published in the May Journal of the American Academy of Child and Adolescent Psychiatry. Researchers from the University of Colorado prospectively followed 1,165 community-dwelling adolescents without CD, 194 youth in the community with CD, and 268 youth who were in treatment for CD. They were re-interviewed during young adulthood, and self-reports on age of substance initiation for 10 substance classes were analyzed. An abstract of the JAACAP article is here. For more information on conduct disorder, see Psychiatric News here. APA President-elect Jeffrey Lieberman, M.D., and National Institute of Mental Health (NIMH) Director Thomas Insel, M.D., issued a joint statement today about DSM-5 and NIMH's Research Domain Criteria (RDoC) project. In the statement, they acknowledged that along with the International Classification of Diseases, DSM "represents the best information currently available for clinical diagnosis of mental disorders" and that the two publications "remain the contemporary consensus standard to how mental disorders are diagnosed and treated." "Yet, what may be realistically feasible today for practitioners is no longer sufficient for researchers," they said. "Looking forward, laying the groundwork for a future diagnostic system that more directly reflects modern brain science will require openness to rethinking traditional categories. It is increasingly evident that mental illness will be best understood as disorders of brain structure and function that implicate specific domains of cognition, emotion, and behavior," which is the focus of the RDoC initiative. "All medical disciplines advance through research progress in characterizing diseases and disorders. 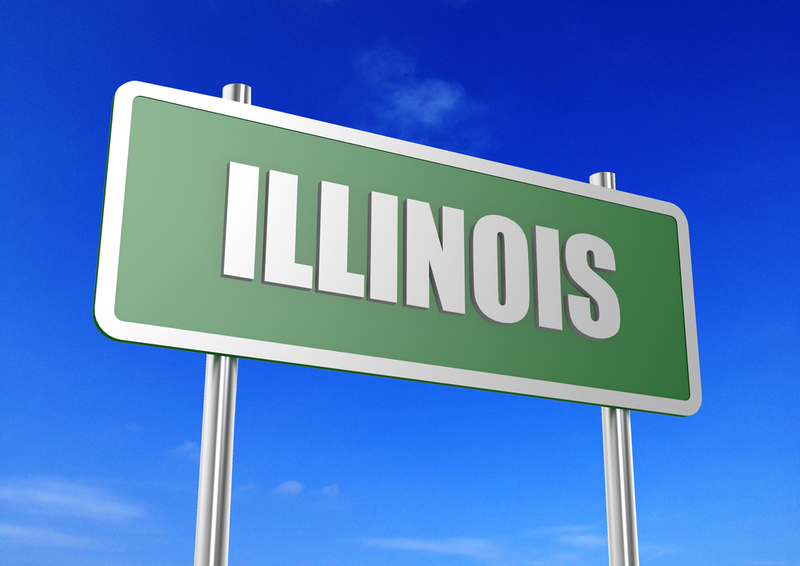 DSM-5 and RDoC represent complementary, not competing, frameworks for this goal," they said. "DSM-5, which will be released May 18, reflects the scientific progress seen since the manual’s last edition was published in 1994. RDoC is a new, comprehensive effort to redefine the research agenda for mental illness. As research findings begin to emerge from the RDoC effort, these findings may be incorporated into future DSM revisions and clinical practice guidelines. But this is a long-term undertaking. It will take years to fulfill the promise that this research effort represents for transforming the diagnosis and treatment of mental disorders." Lieberman and Insel concluded the statement by saying APA and NIMH "are committed to improving the outcomes for people with some of the most disabling disorders in all of medicine." The traditional “subtypes” of schizophrenia—catatonic, disorganized, paranoid, residual, and undifferentiated—have been eliminated from criteria for the new DSM-5 to be published this month, a decision that appears to be supported by diminished use of the subtypes in literature on schizophrenia research. A review of literature over the last 20 years appearing in the May Schizophrenia Bulletin found that use of those subtypes has fallen markedly. The Schizophrenia Bulletin article can be read here. For more information on this subject, see Psychiatric News here. In a large prospective study of some 4,200 individuals with mood symptoms, those who self-medicated their symptoms with alcohol were found to be three times more likely to develop alcohol dependence as were those who did not self-medicate their symptoms with alcohol. 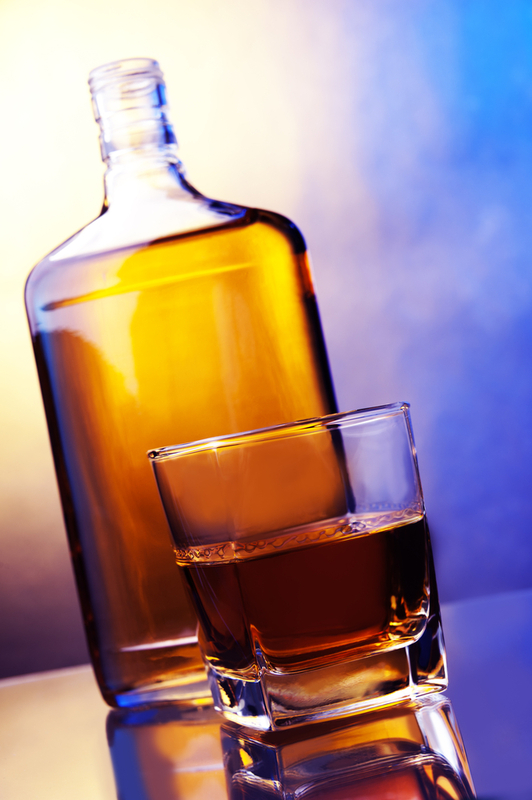 Altogether 12 percent of the former group developed alcohol dependence. Moreover, the association was equally strong for men and women, across race and ethnicity, among older individuals as well as young adults, and among those with fewer mood symptoms and those with more symptoms. "Drinking to self-medicate mood symptoms may be a potential target for prevention and early-intervention efforts aimed at reducing the occurring of alcohol dependence," Rosa Krum, M.D., a professor of epidemiology, psychiatry, and mental health at the Johns Hopkins Medical Institutions, and colleagues concluded May 1 in JAMA Psychiatry. Information about co-occurring mood disorders and alcohol dependence and how to treat them can be found in the American Journal of Psychiatry. Information about alcohol dependence, as well as its treatment, can be found in The American Psychiatric Publishing Textbook of Substance Abuse Treatment, Fourth Edition." 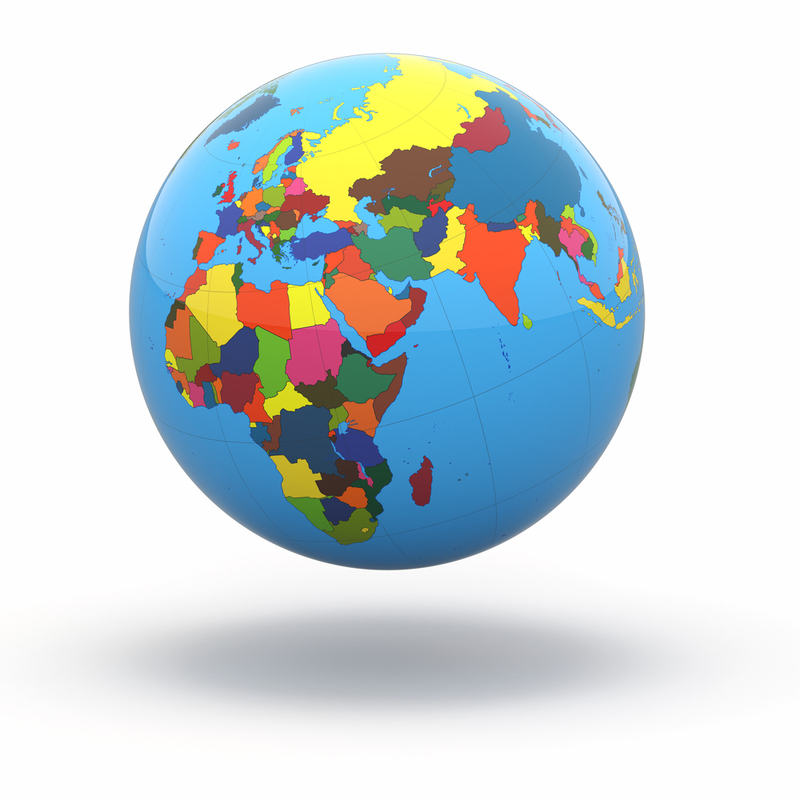 How do people throughout the world view depression or schizophrenia? A survey undertaken in 16 countries found that people generally consider both illnesses as having a biological basis, not to be the result of a bad character, bad luck, or God's will. But the survey also found that people across the globe tend to hold similarly negative views of individuals who have these illnesses, especially schizophrenia. For example, the researchers found that people are apt to not like the idea of individuals with a mental illness holding positions of authority or power, taking care of their children, or marrying into their family. They also tend to feel uneasy about how to interact with such individuals and to fear that such individuals might act violently. "If the public understands that mental illnesses are medical problems, but still reject individuals with mental illness, then educational campaigns directed toward ensuring inclusion become more salient," Bernice Pescosolido, Ph.D., an Indiana University sociologist, and colleagues conclude in their report, which is published in the May American Journal of Public Health. To learn more about people's perceptions of mental illness in Britain and Australia, as well as efforts to counter stigma against mental illness and the people who suffer from it, see Psychiatric News here and here. 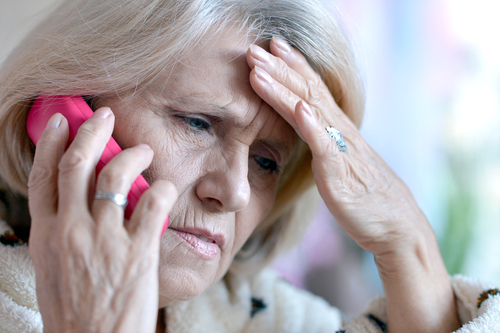 More than 10 percent of older Americans say they have experienced increased confusion or memory loss, and more than one-third say they've had functional difficulties, reported the Centers for Disease Control and Prevention (CDC) in the May 10 Morbidity and Mortality Weekly Report. To estimate the prevalence of self-reported increased confusion or memory loss and associated functional difficulties among adults aged 60 or older, the CDC analyzed data from 21 states that administered an optional module in the 2011 Behavioral Risk Factor Surveillance System survey. The CDC said these results provide baseline information about the number of noninstitutionalized older adults who might require services and support now or in the future. Among those reporting increased confusion or memory loss and functional difficulties, 81 percent indicated the need for assistance, and only 46.5 percent reported getting that help from a family member or friend. 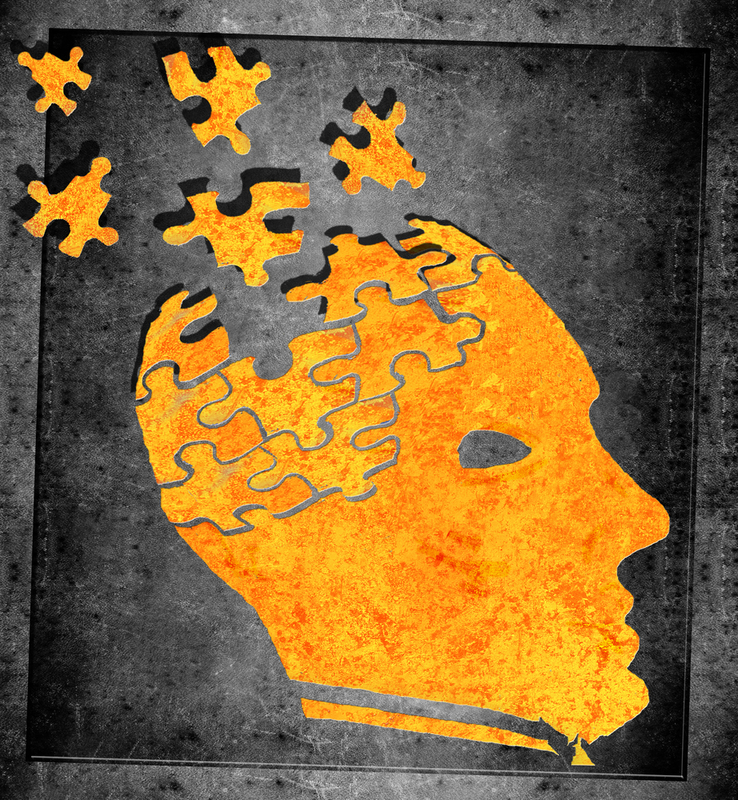 The need for care could precede or follow a diagnosis of dementia and escalates over time, said the CDC. Understanding who already requires care and who is at risk of requiring it in the future can help with anticipating needs and costs associated with meeting those needs. But once service needs of this population are identified, will there be an adequate number of physicians and other professionals to help them? An expert panel has called the dearth of clinicians to treat the elderly an "emerging crisis." Read more in Psychiatric News here. To read about one program to address aging-related functioning, see the American Journal of Psychiatry here. Smokers who fail to quit smoking with the nicotine patch, can be “rescued” by alert clinicians and provided adjunctive pharmacologic treatment to aid in smoking cessation. That finding is from a study of more than 600 smokers using the nicotine patch that is published online in AJP in Advance. Researchers from Duke University's Department of Psychiatry and Behavioral Sciences followed 606 cigarette smokers who started open-label nicotine-patch treatment two weeks before an established quit date. Those whose smoking did not decrease by 50 percent or more after one week were randomly assigned to one of three double-blind treatments: nicotine patch alone (control condition), “rescue” treatment with bupropion augmentation of the patch, or rescue treatment with varenicline alone. Participants whose cigarette smoking decreased by more than 50 percent but who lapsed after the quit date were also randomly assigned to the rescue treatments or to nicotine patch alone. The researchers found that smokers who did not respond adequately to pre-cessation nicotine patch benefited from bupropion augmentation—abstinence rates at end of treatment were 16 percent with the nicotine patch alone and 28 percent with bupropion augmentation. Switching to varenicline produced less robust effects, but abstinence at six months was 6.6 percent with the patch alone and 16.5 percent with a switch to varenicline. “The results of this study show that smokers who fail to respond adequately to pre-cessation nicotine patch treatment can benefit from being switched to alternative therapies,” the researchers said. 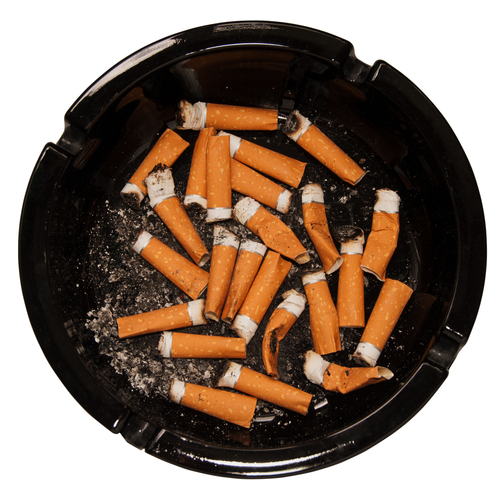 For more about smoking-cessation interventions, see Psychiatric News here. To read about research on a nicotine vaccine, click here. Much previous epidemiological research has indicated an association between a pregnant woman’s exposure to influenza and eventual development of schizophrenia. Now a study suggests that having the flu during pregnancy may also influence the likelihood of bipolar disorder among adult offspring. “We found a significant, nearly 4-fold increase in the risk of bipolar disorder after exposure to maternal influenza at any time during pregnancy,” wrote Alan Brown, M.D., M.P.H., of the New York State Psychiatric Institute, and colleagues, online May 8 in the journal JAMA Psychiatry. 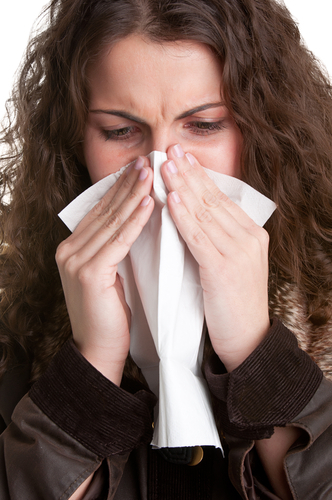 The study controlled for the mother’s psychiatric disorders but previous work has shown an increased susceptibility to influenza among mothers with such disorders, said Brown. “[T]his association may also provide a basis for further exploration of interactions between influenza and genetic susceptibility in bipolar disorder and other psychiatric disorders,” he said. The study’s findings must be confirmed in other groups before any treatment recommendations (like preventive measures for pregnant women) can be suggested, said Brown, et al. For more in Psychiatric News about maternal infection and mental illness, click here. The inability to console a crying infant “is a stronger indicator of postpartum depressed mood” than a baby’s overall time crying or fussing, according to a study of newborns and their mothers in Washington state. Prolonged inconsolable crying—more than 20 minutes a day—raised the risk of depression symptoms fourfold, wrote Jenny Radesky, M.D., of the Department of Pediatrics at Boston Medical Center and Boston University, and colleagues, online in the journal Pediatrics May 8. The study highlights the interaction between mother and baby. Inconsolable crying may contribute to maternal stress, fatigue, and a sense of helplessness. Together this interaction “may have important and lasting effects on the parent-child relationship,” wrote the authors. “By providing anticipatory guidance to parents about the expected feelings of helplessness when their attempts to soothe their infant fail, we may be able to help them tolerate this common early difficulty in the parent-child relationship, bring about greater parental self-understanding, and provide an opportunity to offer help,” they concluded. For more in Psychiatric News about postpartum depression, click here. A new intervention for people who attempt suicide that focuses on bedside problem solving in the emergency department and follow-up contact after leaving the hospital, may enhance engagement in outpatient treatment and reduce risk of future suicidal behavior. The Problem-Solving and Comprehensive Contact Intervention (PS-CCI) is a novel, manual-based intervention for adults presenting to the emergency department for treatment of suicidal ideation or suicide attempts. The intervention is described by Dana Alonzo, Ph.D., and Barbara Stanley, Ph.D., of Columbia University in a “Frontline Reports” column appearing online in Psychiatric Services May 1. The strategy includes a problem-solving interview at the bedside that entails identifying and addressing anticipated barriers to treatment, elucidating and correcting misconceptions about outpatient treatment, and encouraging the patient to participate in outpatient treatment. After discharge, individuals receive a phone call and postcard reminder during the week of their first outpatient appointment and a monthly phone call for three consecutive months thereafter; the calls are used to assess factors that have contributed to the patient’s adherence or nonadherence to outpatient treatment. “The interactive, personalized aspect of PS-CCI may resonate more concretely with clients than a nonspecific approach in which reasons to refrain from suicidal actions or for engaging in treatment are provided to clients rather than generated by them,” the authors said. The report is online here. Information about diagnosing and treating suicidal thoughts and behaviors is available in American Psychiatric Publishing's Preventing Patient Suicide: Clinical Assessment and Management. For more on this topic, see Psychiatric News here. 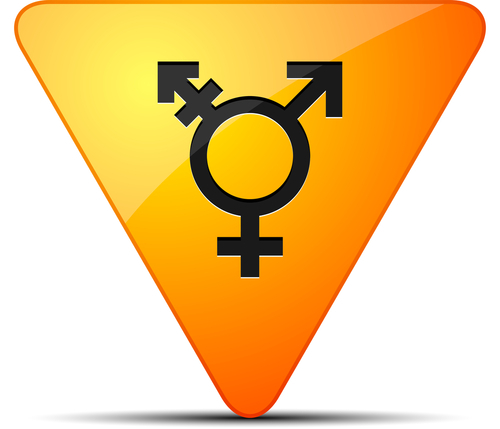 Transgender individuals need improved "access to mental health and social services that affirm transgender identity and promote reslience," Walter Bockting, Ph.D., of the New York State Psychiatric Institute, and colleagues assert in the May American Journal of Public Health. Bockting was recently named codirector of Columbia University Medical Center's LGBT Health Initiative. They came to this conclusion after surveying online more than 1,000 male-to-female and female-to-male transgender individuals about their mental health. Survey respondents reported a high prevalence of depression (44 percent), anxiety (33 percent), and somatization (28 percent). The social stigma that the respondents experienced was associated with psychological distress. However, they indicated that support from other transgender people decreased such distress. More information about the challenges facing transgender individuals and what can be done to help them can be found in Psychiatric News here and here. 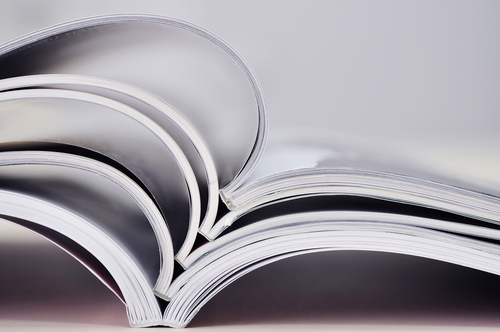 Information for psychiatrists and other clinicians who treat LGBT individuals can also be found in American Psychiatric Publishing's The LGBT Casebook. Responding to recent criticism of DSM-5 and its previous iterations by NIMH Director Thomas Insel, M.D., the chair of APA's DSM-5 Task Force, David Kupfer, M.D., issued a statement emphasizing that the diagnostic manual "provides clinicians with a common language to deliver the best patient care possible" and is "the strongest system currently available for classifying disorders." Insel had charged that the system that DSM uses to classify diagnoses is reliable but lacks validity, since the diagnoses "are based on a consensus about clusters of clinical symptoms, not any objective laboratory measure," such as those used to make diagnoses in other fields of medicine. Kupfer stated that “efforts like the National Institute of Mental Health’s Research Domain Criteria [RDoC] are vital to the continued progress of our collective understanding of mental disorders." He continued by noting that Insel's vision of a system based on biological and genetic markers "remains disappointingly distant" and "cannot serve us in the here and now." It "merely hand[s] patients another promissory note that something may happen sometime. Every day," he said, psychiatrists must respond to patients who are suffering. "Our patients deserve no less." The complete text of Kupfer's statement is posted at http://www.psych.org/File%20Library/Advocacy%20and%20Newsroom/Press%20Releases/2013%20Releases/13-33-Statement-from-DSM-Chair-David-Kupfer--MD.pdf. A novel approach to treating Alzheimer's disease (AD) is suggested by research headed by Rudolph Tanzi, Ph.D., a professor of neurology at Harvard Medical School, and reported in the journal Neuron. For a long time, the APOE-e4 gene variant remained the only known genetic risk factor for late-onset Alzheimer's. Then recently, genomewide association studies performed on thousands of individuals led to the identification of more genes implicated in AD, one of which is called CD33. Now Tanzi and his colleagues have found, in brain tissue samples taken from deceased individuals who had AD, that higher levels of CD33 in microglia—immune cells that clean up debris in the brain—were associated with an increased number of beta-amyloid plaques, a hallmark of the illness. Thus it looked as if the gene prevented beta-amyloid clearance in the brain. Indeed, when the researchers deactivated the CD33 gene in mice, they found that the deactivation enhanced the ability of microglia to clear up beta-amyloid molecules. "This is the first time that we have direct evidence of a gene, CD33, that directly controls beta-amyloid clearance by microglia," Tanzi said in a press statement. "Our findings raise the exciting possibility that the inability of microglia to degrade beta-amyloid in Alzheimer's disease could be reversed therapeutically by inhibition of CD33 activity." To read more about strategies that might be able to avert AD, see Psychiatric News here and here. Information about diagnosis and treatment of AD can be found in American Psychiatric Publishing's Clinical Manual of Alzheimer's Disease and Other Dementias. An increasing number of visits to the emergency room are being attributed to the sleep medication zolpidem. The Substance Abuse and Mental Health Services Administration (SAMHSA) reported this week that ER visits involving adverse reactions to zolpidem rose nearly 220 percent, from 6,111 visits in 2005 to 19,487 visits in 2010. Patients aged 45 and older represented about three-quarters of such visits in 2010. Female patients appear to be more affected, experiencing a 274% increase in ER visits involving zolpidem use, compared with male patients who saw a 144% increase. In 2010, females accounted for more than two-thirds of all ER visits related to zolpidem. Adverse reactions associated with the medication include daytime drowsiness, dizziness, hallucinations, agitation, sleep-walking, and drowsiness while driving. When zolpidem is combined with other substances, the sedative effects of the drug can be dangerously enhanced. 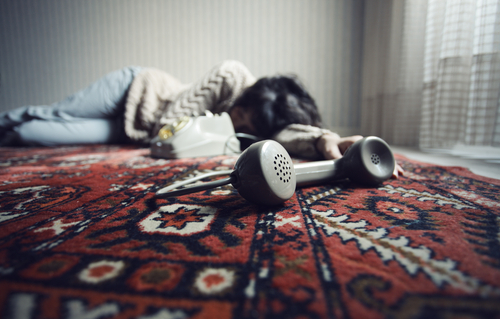 “Although short-term sleeping medications can help patients, it is exceedingly important that they be carefully used and monitored,” said SAMHSA Administrator Pamela Hyde. “Physicians and patients need to be aware of the potential adverse reactions associated with any medication and work closely together to prevent or quickly address any problems that may arise.” Read the SAMHSA report here. Zolpidem is the active ingredient in Ambien, Ambien CR, Edluar, and Zolpimist. The Food and Drug Administration recently required manufacturers of these products to lower current recommended dosages, based on new data showing that zolpidem blood levels in some patients may be high enough the morning after use to impair activities that require alertness, including driving. The Centers for Disease Control and Prevention (CDC) reported yesterday that suicide rate among middle-aged Americans has risen substantially since 1999. CDC investigated suicide trends among U.S. adults aged 35 to 64 by gender and other demographic characteristics, state of residence, and mechanism of injury using data from its Web-based Injury Statistics Query and Reporting System. Annual suicide rates for this age group increased 28 percent over this period, with particularly large increases among non-Hispanic whites and American Indians/Alaska Natives. Increases in suicide rates among both men and women were also found for suicides involving hanging/suffocation, poisoning, and firearms. The suicide rates for those aged 10 to 34 and those aged 65 and older did not change significantly since 1999, the report said. The CDC noted that most suicide research and prevention efforts have focused historically on youth and the elderly. This report’s findings suggest that efforts should also focus on the needs of middle-aged individuals. "Although the analysis in this report does not explain why suicide rates are increasing so substantially among middle-aged adults, the results underscore the importance of prevention strategies that address the needs of persons aged 35–64 years, which includes the baby-boomer cohort. Prevention efforts are particularly important for this cohort because of its size, history of elevated suicide rates, and movement toward older adulthood, the period of life that has traditionally been associated with the highest suicide rates," the CDC said. The full report, published in today's Morbidity and Mortality Weekly Report, is posted here. Read about recent research that is shedding light on factors that may increase suicide risk and point the way to prevention targets in Psychiatric News here and here. Also read about development of a national suicide prevention agenda in Psychiatric Services.